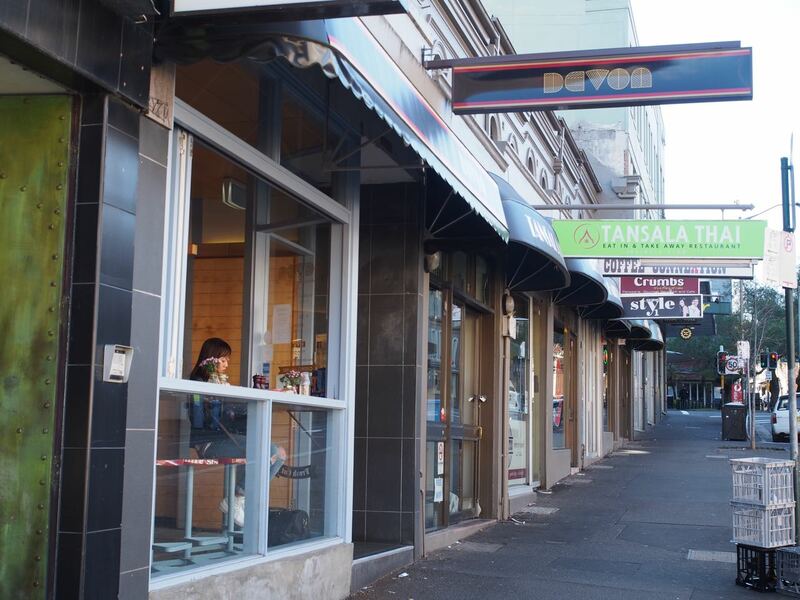 I love neighbourhood cafes; they bring a relaxed focal point to the community. 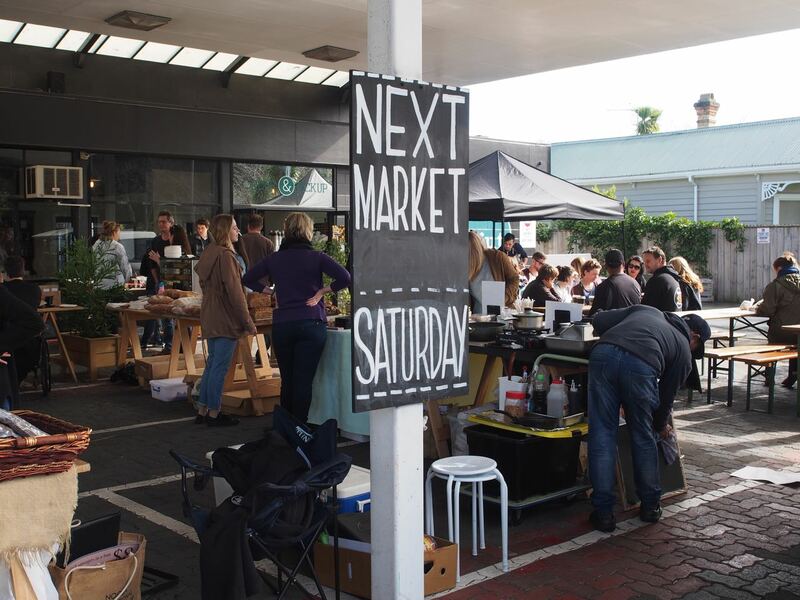 In Morningside, a slowly gentrifying neighbourhood, Geeks on Sainsbury has brought the suburb a step up on the trendy scale. The commercial complex it is located in is drab and sleepy, and thoroughly in need of a boost. 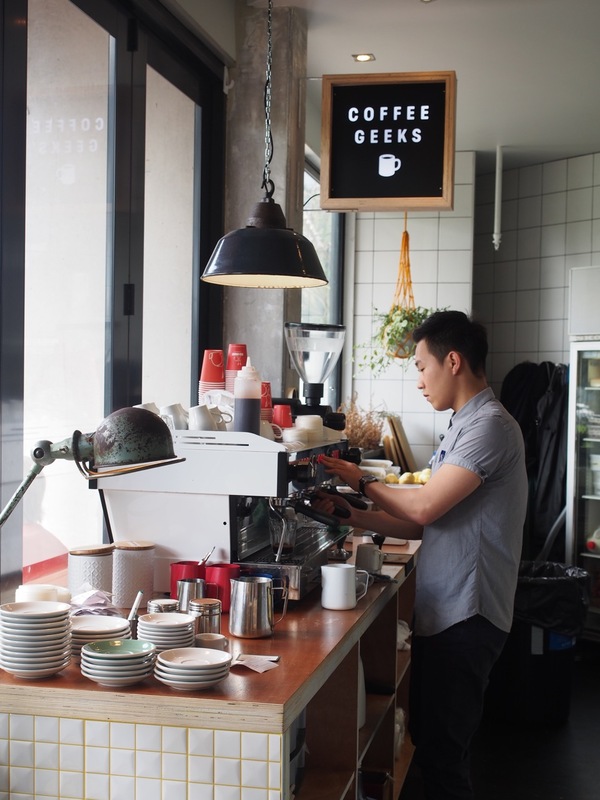 The workspace is divided in Coffee Geeks and Kitchen Geeks. 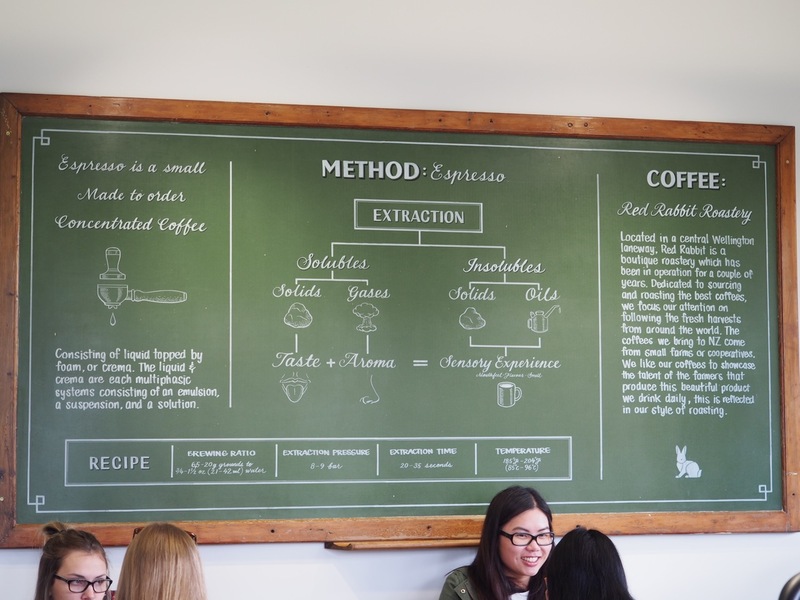 They serve up coffee from a boutique Wellington roaster, Red Rabbit Roastery, and check out the explanation of an espresso on the blackboard. I really like how Geeks have focused on the provenance of their ingredients. 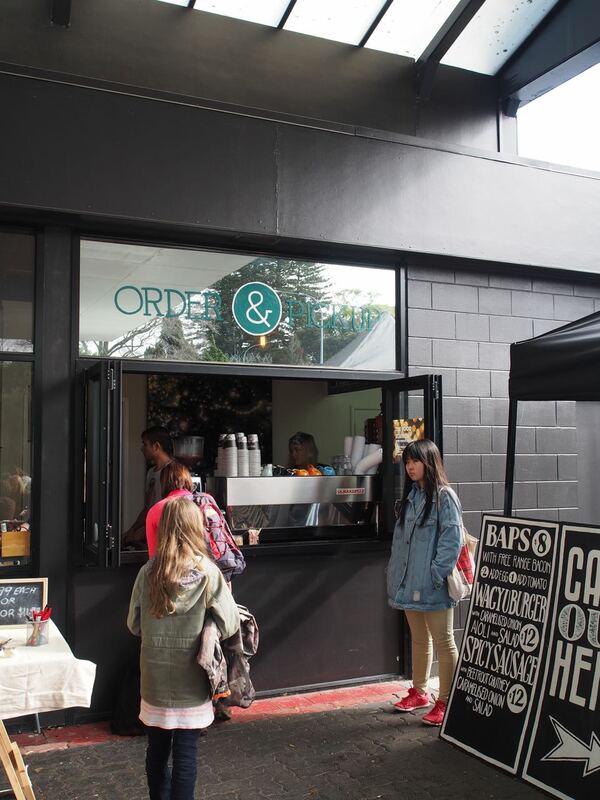 They serve Six Barrel Sodas, Aoraki salmon, Best Ugly bagels and Pokeno bacon. Nanam Eatery has risen like a phoenix from the ashes of Coco Restaurant. 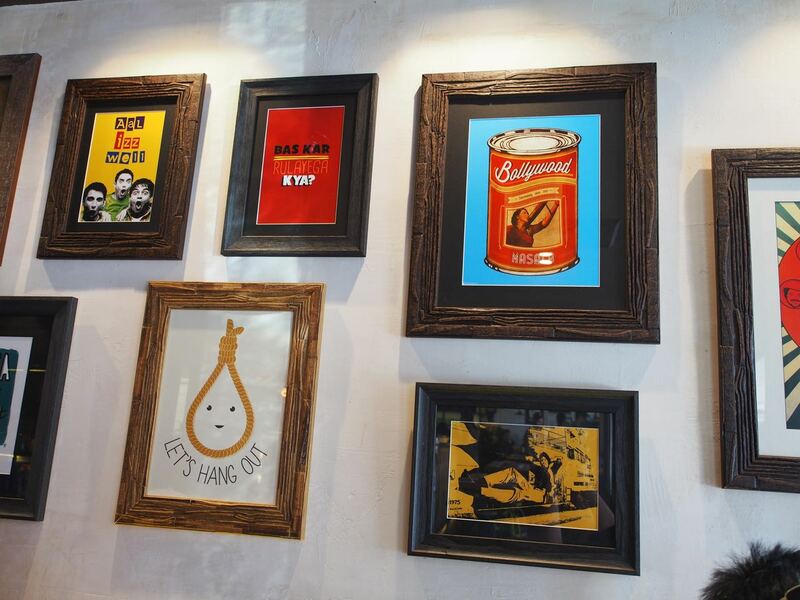 We loved Coco and its very talented chef Daniel Nguyen; it was unfortunate the market wasn’t ready for modern Vietnamese fine dining without the plush accoutrements. 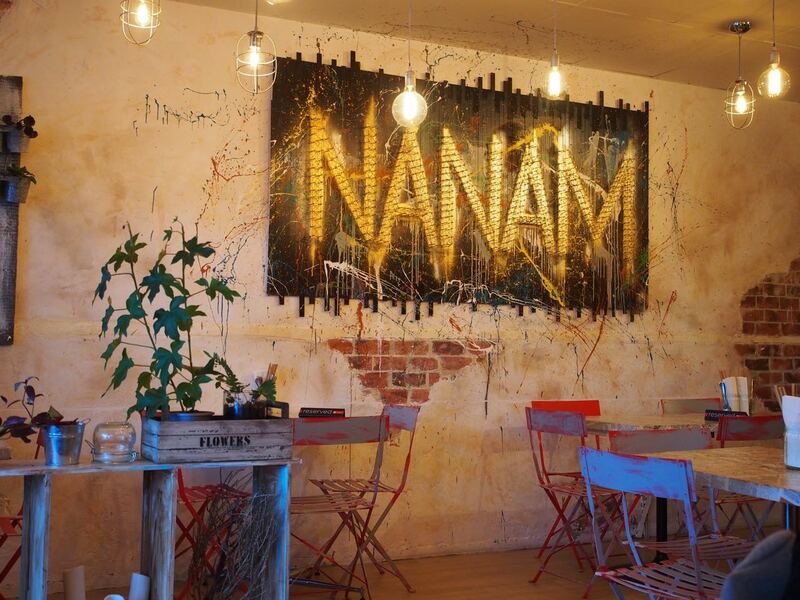 The owners of Nanam worked at Coco, and they have created an exceptional smart casual modern Filipino restaurant which works well with its environment. My experience with Filipino cuisine spans all of one restaurant, and I found the liberal use of vinegar takes some getting used to. 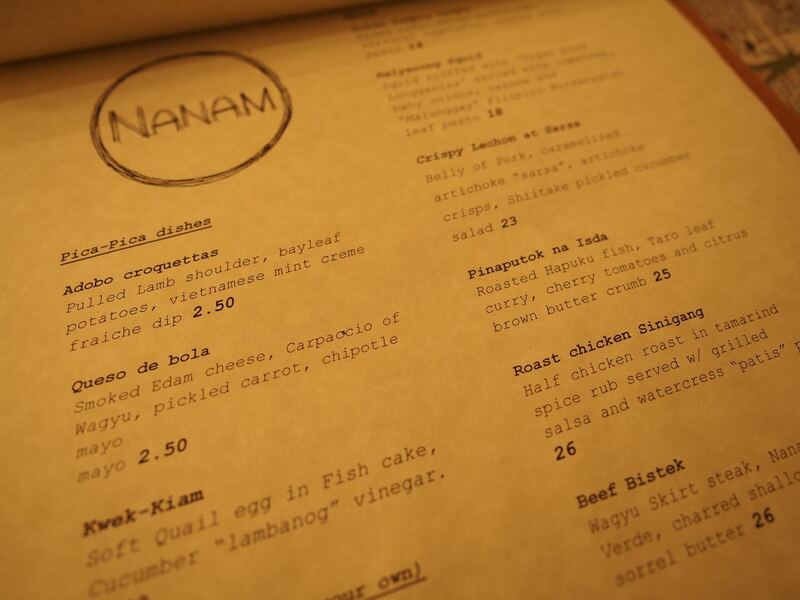 However, Nanam’s chef does a gentle introduction to Filipino flavours, taking what makes Filipino food unique and interesting whilst adding them to dishes which are more readily recognisable. 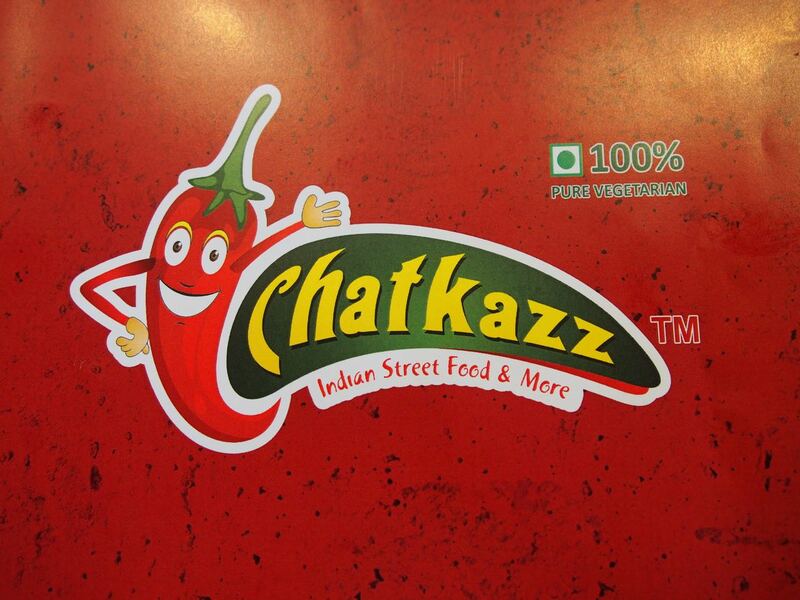 Chaatkazz is a buzzy restaurant serving vegetarian Indian street food and farsan (snacks) conveniently located a few minutes walk from the Harris Park train station. In the three times we’ve been to the Indian suburb of Harris Park, Chaatkazz was always packed, and tables are full of families of various ethnic groups. 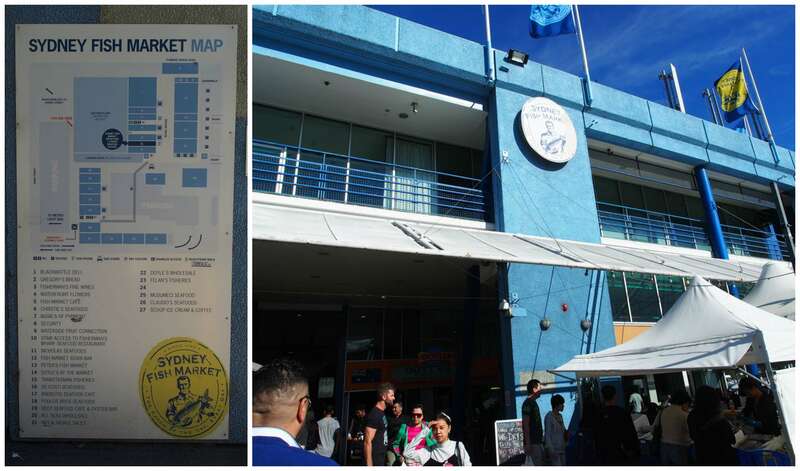 I made it a point not to eat at the Sydney Fish Market (SFM) in the year I was living in Sydney. 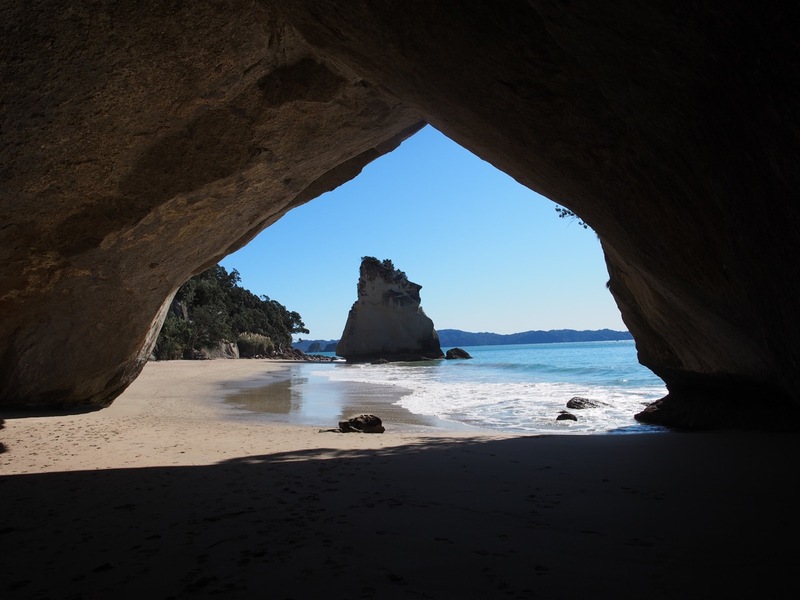 It seemed, well, too touristy (yes, I am ashamedly aware of the hypocrisy). There are always throngs of tourists chowing down on what seemed like overpriced seafood platters in a canteen-like atmosphere. 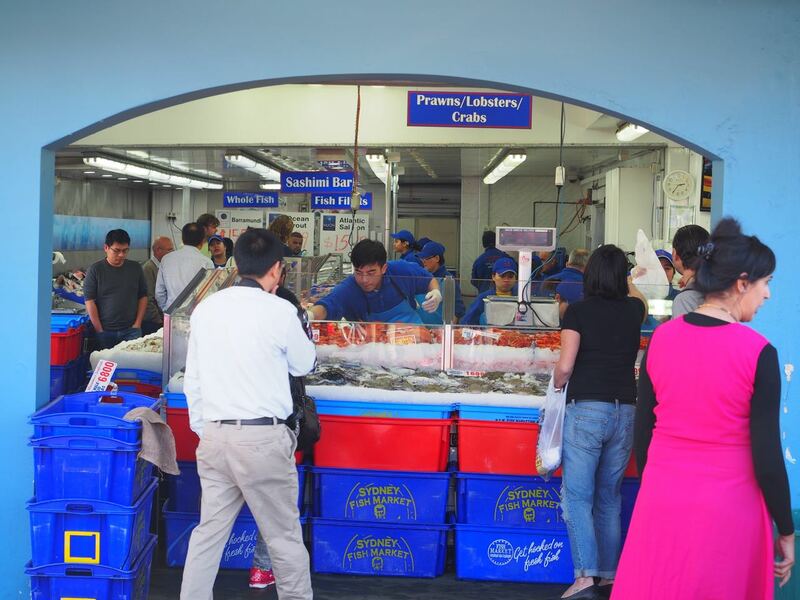 Don’t get me wrong; I enjoy visiting SFM but only to purchase seafood. We’ve bought crabs, Moreton Bay bugs, prawns, mussels and fish. All very fresh, and marvellous. The selection is enviable; if it’s in season, you’ll find it. Plus there are multiple reputable vendors to select from. Eating at the SFM is one of the picks for Grab Your Fork’s top Cheap Eats for Tourists, so I was keen to see if it really was affordable (my yardstick for an affordable meal out is $20 per person). I have a delicious obsession with gua baos, those Taiwanese street food of fluffy soft buns enveloping all manners of delicious meats with various pickles and condiments. In my last visit to Sydney, I chanced upon a new outlet. 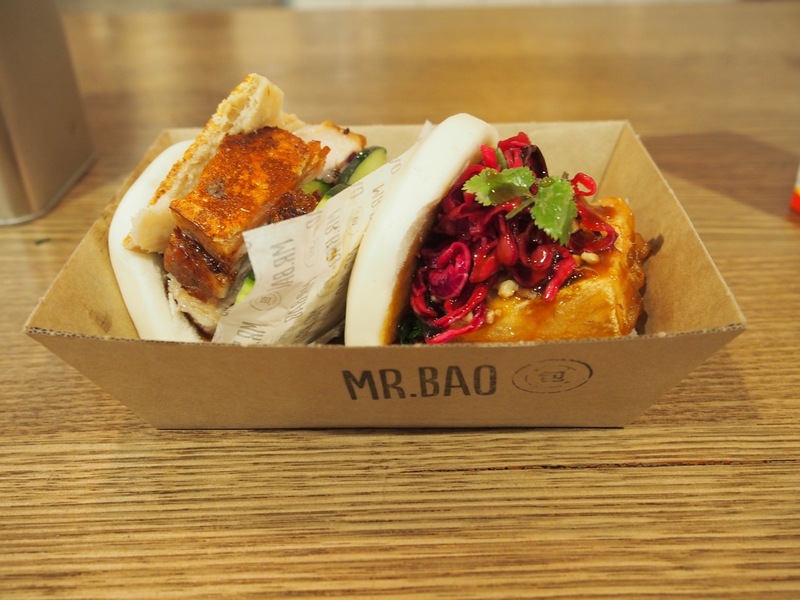 Mr Bao opened their permanent outlet on York Street’s George Arcade on 7 August, building on their popularity at the Bondi Farmers Market and various festival markets. 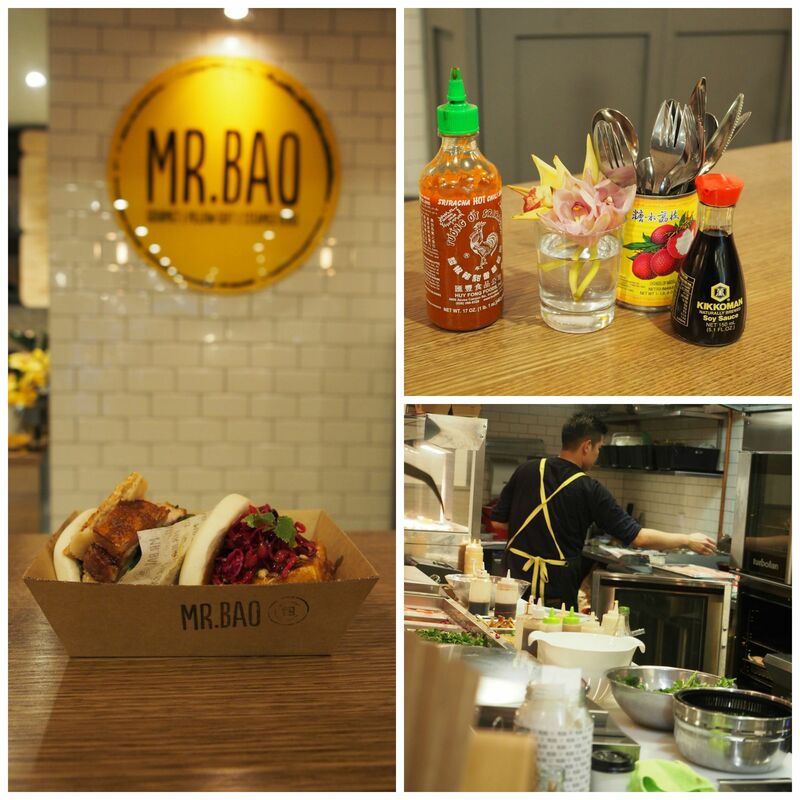 Their outlet at the end of the arcade is cheerful and fresh, offering 5 versions of their Vietnamese/Japanese take on gua baos, for $6 each or two for $11. Great value.